Item # 296032 Stash Points: 2,995 (?) This is the number of points you get in The Zumiez Stash for purchasing this item. Stash points are redeemable for exclusive rewards only available to Zumiez Stash members. To redeem your points check out the rewards catalog on thestash.zumiez.com. Complete your active casual looks with the 3 Stripe Black Shorts from adidas. These comfortable track shorts offer a brushed fleece lining, a right seat pocket and a durable elastic waistband for a secure fit no matter how active you are. 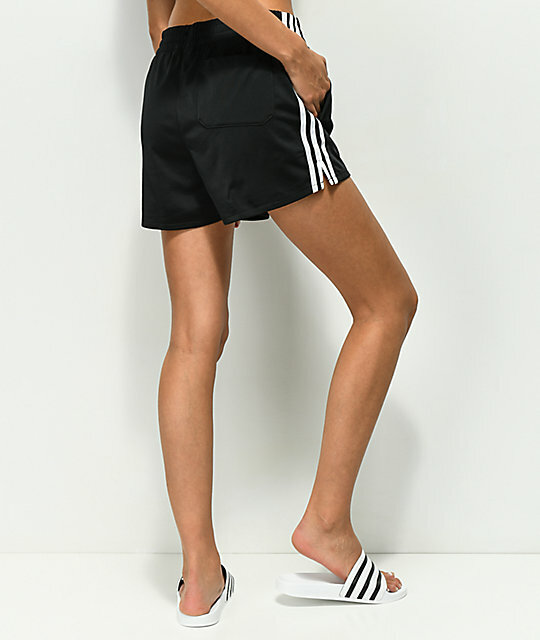 Complete with signature 3 stripe appliques a long the side seams an a Trefoil logo embroidered at the left leg, these athletic shorts are the perfect addition to your wardrobe. 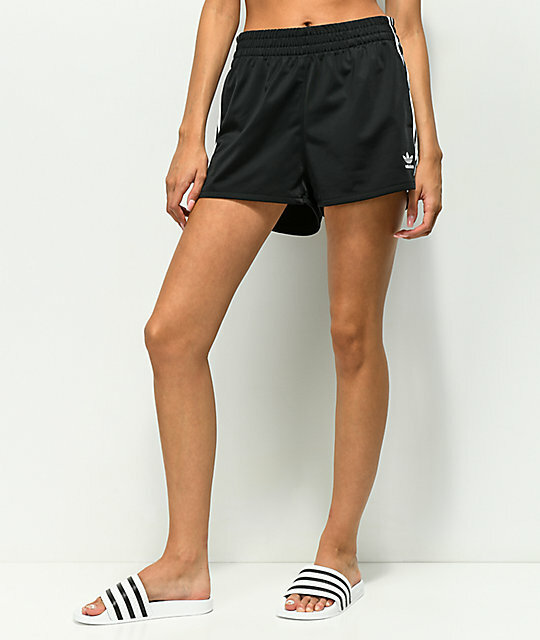 3 Stripe Black Shorts from adidas.